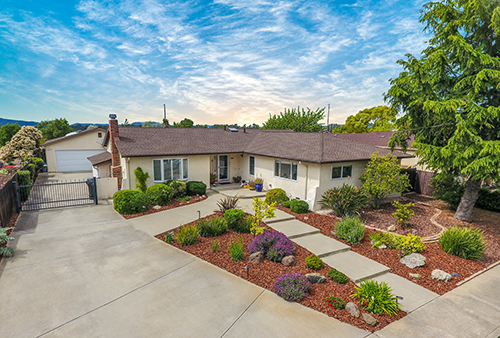 Sunset West is a charming neighborhood in Livermore built by Sunset Homes in different stages from 1958 to 1969. Tree lined wide streets with well-maintained homes ranging from 1,100 – 2,000 sq ft of living space on lot sizes from 6,000 - 7,500 sq ft. These were originally all single stories but some have added on since. Commuters have quick and easy access to all freeways. El Padro Park has 5 acres of space and offers barbeque pits, picnic tables and a tot play area. Living in Sunset West will be a very comfortable and peaceful lifestyle! Sunset West offers easy access to miles of trails. Running along Isabel Avenue is a very nice trail that many people use for walking, running, and bike riding. Children living here will attend Smith Elementary, Mendenhall Middle School, and Granada High School. All these schools are within walking distance from most homes. Downtown Livermore is minutes away offering fine dining and boutique shopping.